Mon, Apr 15, 2019, 10:35 am SL Time, ColomboPage News Desk, Sri Lanka. The Directors of HPL announced that HPLPWA has entered into Share Purchase Agreements with East West Properties Plc, Asia 2000 Investment Inc and The Monetary Board of The Central Bank of Sri Lanka for the proposed acquisition of the entire equity interest comprising 405,200,000 ordinary shares collectively owned by the Sellers in the capital of Weligama Hotel Properties Limited to HPLPWA and/or its nominee. The consideration for the Proposed Share Purchase is approximately USD22,625,000, which is subject to net working capital adjustments to arrive at a final consideration. WHPL owns the 198-key 5-Star Resort known as the Marriott Weligama Bay Resort & Spa, situated at Weligama, Sri Lanka. The issued and paid up capital of WHPL is Rs. 1,931,801,000 comprising 405,200,000 ordinary shares. The Proposed Share Purchase will be funded through the Group's internal resources and/or bank financing, and is not expected to have any significant effect on the consolidated net tangible assets per share and net earnings per share of HPL Group based on the audited consolidated financial statements of the HPL Group for the year ended 31 December 2018. 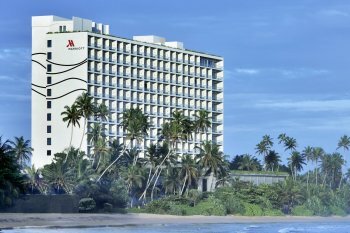 This is HPL's second purchase in the Sri Lankan leisure market in less than a year, after it acquired a 94.7 per cent stake in the 35-key Tangalle Bay Hotel owned by Sri Lanka's Tangalle Bay Hotels for 385 million Sri Lankan rupees (US$2.2 million) in August 2018.